Three have sent me a text to say I have 4G Supervoice. I don’t notice any improvement to the calls. Or am I using it incorrectly? 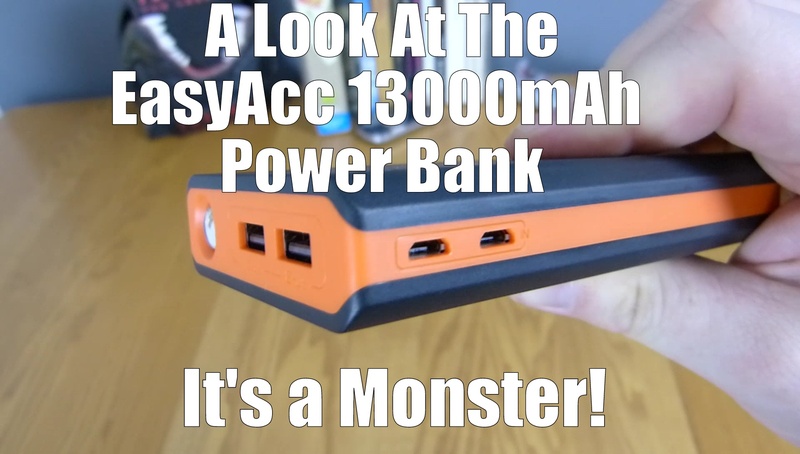 A look at the EasyAcc 13000mAh Power Bank Monster! A simple, to the point power bank that features dual inputs allowing the battery to recharge itself to full, in around 3.5 hours. Using this approach means the EasyAcc 13000mAh charges twice as fast as regular portable chargers. Combined with a powerful 4.8 output through both ports results in the ability to charge two high-input devices with full speed. Easyacc’s smart technology automatically detects and outputs the exact current your device requires, delivering a fast and universal charging experience. With a capacity of 13000mAh the Monster can provide four charges to an iPhone 7, 2.5 charges to a Galaxy S7, or 1 charge to an iPad Air 2. Also included is an ultra-bright Flashlight, bright enough to light you through darkness and emergencies, yet lasts longer than most regular flashlights between charges. For more information check out EasyAcc’s page. Grab one from Amazon for £18.99. The light can be switched on or off via the light switch, central smart home management or remotely using the app. Within the app it is also possible to adjust the brightness and colour temperature and is very easy to create programmable lighting scenarios which can also be saved. In addition to the control modes, the app also provides a series of energy statistics. This means that you can access an overview of all consumption data and savings at any time. 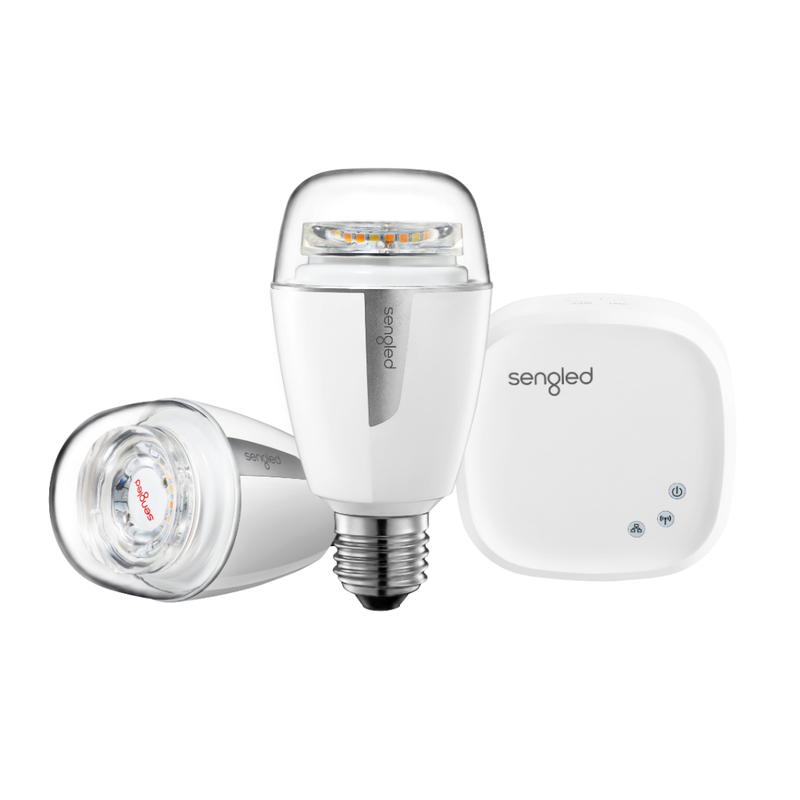 The Sengled Element starer set includes the Sengled Element Hub, which serves as the gateway.